Xcode 6 introduces a radically new way to design and build software. Swift is an innovative new programming language for Cocoa and Cocoa Touch and, when combined with Xcode tools, makes programming a delightfully live experience. Live rendering within Interface Builder displays your hand-written UI code within the design canvas, instantly reflecting changes you type in code. FileMaker, Inc., is a Workplace Innovation Platform that allows problem solvers to create, share, and integrate custom apps that work seamlessly across iPad, iPhone, Windows, Mac, and the web. An advanced mobile operating system. With its easy-to-use interface, amazing features, and rock solid stability, iOS is the foundation of iPhone. And even as others try to catch up, the technologies and features built into iOS keep iPhone years ahead. Create stunning 3D titles in just a few clicks. Adjust the look, lighting, animation, and more with simple controls that generate studio-quality titles. iMovie for Mac lets you enjoy your videos like never before. Browse your clips easily, instantly share your favorite moments, and create Hollywood‑style trailers and beautiful movies at stunning 4K resolution. Pages for Mac is a powerful word processor that gives you everything you need to create documents that look beautiful. All your photos. Always with you and picture perfect. OS X El Capitan gives you simpler, smarter ways to do the things you do most with your Mac. Like working in multiple apps at the same time using Split View. GarageBand is Apple's preinstalled OS X music creation tool. iCloud does more than just store your content. It lets you access your music, photos, calendars, contacts, documents, and more, from whatever devices you?? ?re on. And it?? ?s built into every new iOS device and every new Mac. Keep track of your busy schedule and share it with others using Calendar. See all your calendars in a single window. Works with iCloud, Yahoo!, and Google. Logic Pro X is Apple's professional-grade audio editing software. OS X Mountain Lion is Apple's best OS yet. Because all these new features add up to one amazing experience on your Mac. And every device you use. TextEdit is a text editor based on the NStext and NSDocument text system of Cocoa for Mac. Mail makes it easy to manage all your email from a single, ad-free inbox. It features powerful search capabilities. Supports Gmail, MS Exchange, and others. TestFlight is a mobile application that allows you to instal and beta test apps on your iOS device allowing you to provide feedback to developers on the features you tested in the pre release. Numbers is a spreadsheet application developed by Apple Inc. as part of the iWork productivity suite alongside Keynote and Pages. Numbers is available for iOS, and Mac OS X v10.12 or newer. Apple Remote Desktop allows IT administrators to quickly distribute software and remotely access computers across a network. FileVault is a disk encryption program in Mac OS X 10.3 and later. iOS 9 SDK includes new APIs and services that are enabling new categories of apps and features. Multitasking and gaming APIs help enhance app functionality and create immersive games. Expanded search capabilities, and new support for CloudKit, HomeKit, HealthKit, and MapKit extend iOS to more places than ever before. 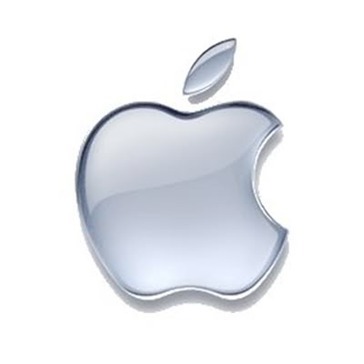 Apple Pay is an apple application that make financial transitions. My Library keeps all the information about your personal media collection at your fingertips. Separate tabs are available to display your books, movies, and compact discs, all ordered conveniently by title. Motion features a familiar interface that lets you easily create titles, transitions, and effects for Final Cut Pro. Compressor adds power and flexibility for exporting projects from Final Cut Pro. With more than 200 new features, OS X Mavericks brings iBooks and Maps to the Mac, includes a new version of Safari, enhances multi-display support, introduces Finder Tabs and Tags and delivers new core technologies for breakthrough power efficiency and performance. Providing information technology consulting services since 1995. Data analysis, spreadsheet systems, database systems, consulting. Cognitive is a certified FileMaker Pro Developer and FileMaker Business Alliance Member. Customers include BHP Billiton, Commonwealth Bank, Westpac and many others. Macintosh Programmer's Workshop (MPW) is a product designed specifically for professional Macintosh software developers. It brings together a comprehensive collection of development tools designed to support C, C++, and assembly-language programmers who are writing software for Mac OS 7.x/8.x/9.x.